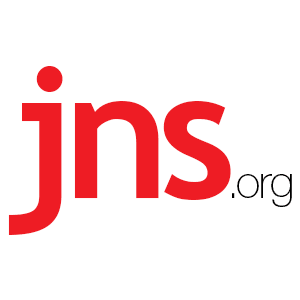 Netanyahu: New Palestinian Unity Deal Must Include Disarming Hamas, Recognizing Israel - Breaking Israel News | Latest News. Biblical Perspective. The Israeli government reacted to the announcement of a new unity deal between the Palestinian terror group Hamas and Fatah Thursday by calling for Hamas to disarm and recognize Israel. “Any reconciliation between the Palestinian Authority (PA) and Hamas must include honoring international agreements and the Quartet condition, first and foremost among them, recognizing Israel and disarming Hamas,” Israeli Prime Minister Benjamin Netanyahu said in a statement. The agreement, brokered by the Egyptian government in Cairo, will see Fatah lifting a number of punitive sanctions it imposed on the Hamas-controlled Gaza Strip in return for the formation of a unity government beginning December 1. This would pave the way for the Palestinian Authority to return to Gaza. The deal also allows for the joint administration of Gaza’s borders. Additionally, the Israeli government called on Hamas to release the two Israeli civilians it’s holding – Avra Mengistu and Hisham a-Said – as well as return the remains of fallen IDF soldiers Oron Shaul and Hadar Goldin. According to a statement by Egypt’s State Information Service, the sides had “agreed on procedures” for the reconciliation agreement, but there still remains “divisions between the two sides.” Egypt will host another meeting Nov. 21.